Well, another week has come and gone! This was my first transfer as a zone leader, and I was in charge of transfers here in Chimoio. Woohoo, lots of headache. 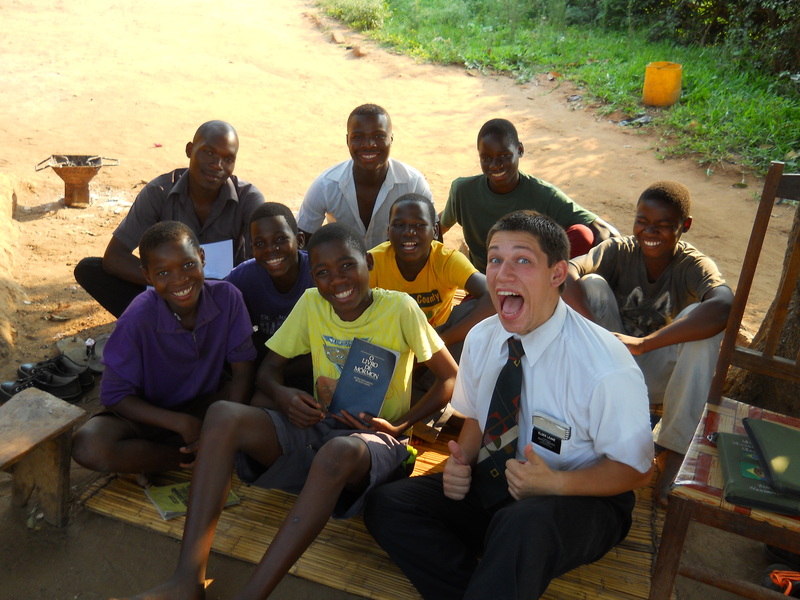 So Elder Adamson left, heading down to Maxixe (still in our zone woot!) and Elder Stewart left for Beira. I’m still with Elder Nascimento (big surprise there, although I’m not complaining :lol:). Coordinating all of the switches was a big hassle, but not too bad. On Friday, however, we got a call, while in a lesson, that Elder Gray (one of the new ones coming in) was already here. We weren’t expecting him, because we never got a call saying he left… so, we had to book it to the ‘bus stop’ to pick him up. I don’t think I’ve ever speed-walked so fast in my life. And it still took 40 minutes… meh. But overall, it’s great. 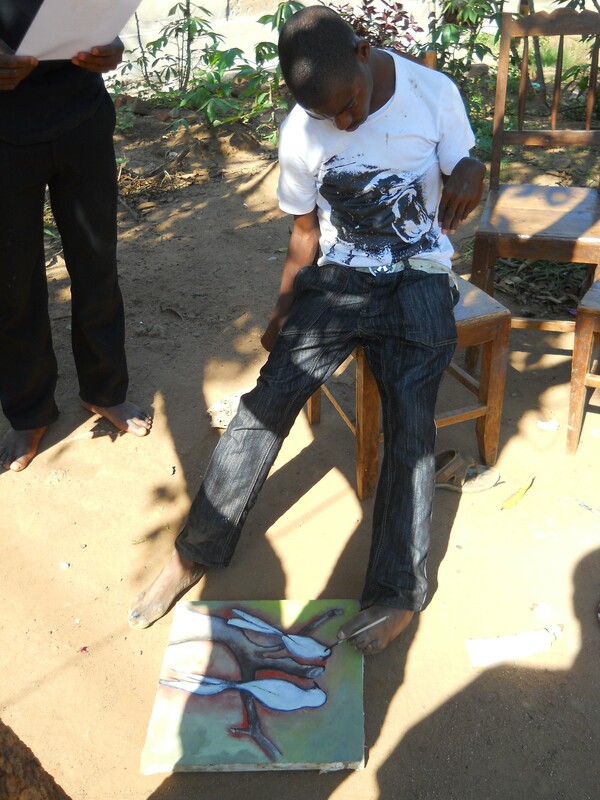 We’re still missing an elder because he is having some dental work done down in Beira. Hopefully he’ll show up tomorrow, but we have no real way of knowing. Highlights from the week: lots of work. We didn’t get back from Maxixe until Monday afternoon/night last week, but we still got a lot done this week. Elder Nascimento and I walked with Elder Mateus (who’s just waiting for his visa to Brazil) for a couple of days because his companion still isn’t here. We had some great lessons with current investigators, and had some really good contacts that showed up to church. 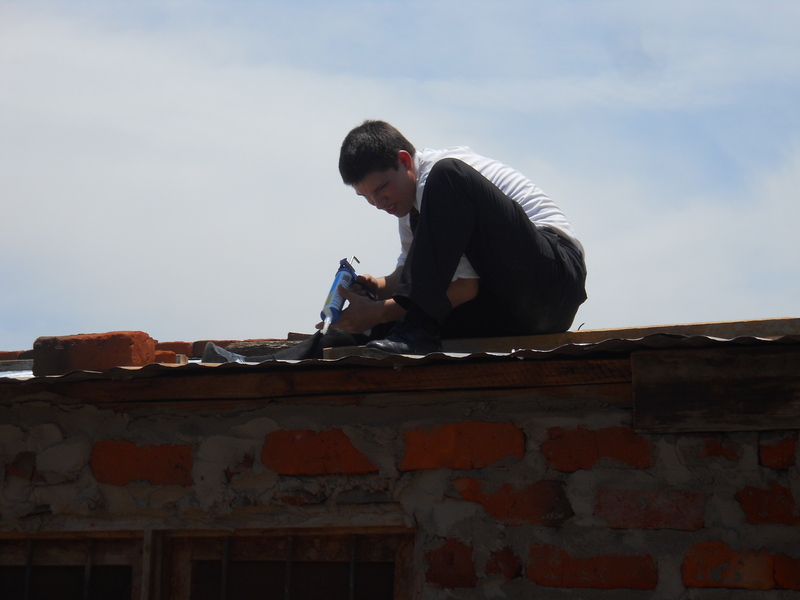 On Saturday, Elder Banks took us to Irmã Filomena’s house to try to work on her roof, which is really… holey. It’s tin sheets of metal (zinc actually) on a few slats of wood. So, I had to be careful not to put my foot through her roof while trying to fix it! We didn’t finish everything, but it rained a couple of days ago, and she told us it was 100% waterproof. Except for the piece that blew off in the wind… So we’ll probably be back sometime this week to get that fixed up; she bought the new pieces today. Sunday was ridiculous! We had 92 people show up to sacrament meeting, which was waaay too much for our little house chapel. If it keeps up like this, we may have to move out ahead of the contract, to make sure we have space for everyone. We’re still not a branch, but moving quickly towards it! We’re working with the leaders a lot right now to keep them prepared and active in their callings. 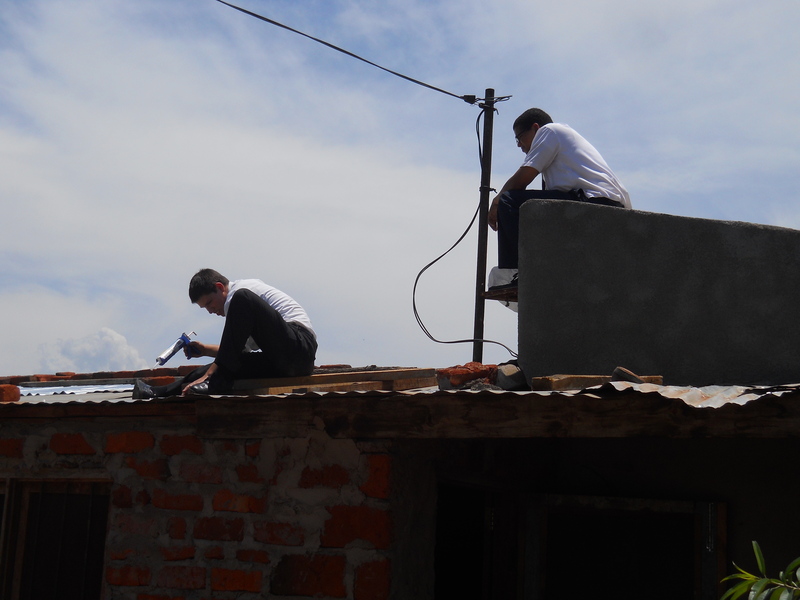 Elder Nascimento and I also had a lot of our investigators come to church, including several of the people that are working on our house to get everything fixed up. It was a good day. I’m super excited with how things are progressing here. Unfortunately, the Young Women’s leader never showed up, so Sister Banks taught… She doesn’t speak Portuguese very well yet, so I went in to help translate… that was weird. I still don’t like translating. The culture is so different and the way things are said are so different that to get the same meaning across, you have to change every single word in the sentence… Blegh. It’s work. But it’s fun! So in our house, we have a thing called Credelec. You have to buy electricity by the kilowatt-hour, and you prepay. Well, when we first got into the house, there was no Credelec box, so we had them install a new one. Unfortunately, they didn’t have any 3-phase boxes. So they just installed a monophase. It wasn’t a problem until we installed three air conditioners. Even with most of our breakers off, it still trips a lot. So we’ve been going to the EDM (Mozambique Electricity) for a week now trying to get them to replace it. No luck yet. I just hope it gets fixed before there’s a real problem… So until it gets fixed, Elder Nascimento and I are stuck in another room. We can’t have more than two (sometimes not even two) air conditioners turned on at the same time… So we’ll see. Ooh! I saw someone selling strawberries here, super cheap today. Hopefully I can find him again to get some… mmm I miss berries. Well, the work keeps progressing. I am continually amazed by the love the Lord has for me. Even when I don’t meet expectations, or want to, He still waits patiently for me to realize what I need to do. We were stopped by a Brazilian man today who asked if we were Mormons. I replied yes, that we belong to the Church of Jesus Christ of Latter-Day Saints. He pretty much told us we were lying, that we don’t believe in Christ. Elder Nascimento and I just ignored him, but it set something off inside me. How sad it is that anyone could think that. How sad that instead of searching for truth, he only accused us of falsities. Neither Elder Nascimento nor I felt the Spirit, so we didn’t say anything. I felt horrible. I wanted to help, but there literally was nothing I could do. He had made his decision, I had to respect it. I just hope one day he will be able to search and find what he is looking for. I hope all of you are well. I hope everyone of you can feel the loving arms our Savior, Jesus Christ, support you in your lives. I know I wouldn’t be where I am if it weren’t for Him, and I know I wouldn’t be as happy as I am if it weren’t for Him. You are all in my thoughts and prayers. There's a hole in the roof! I'm fixing the hole in the roof!